By now everyone knows the story of Shenzhen: a small fishing village in south China’s Guangdong Province transforms into an economic powerhouse in only a matter of a few years. It was a mere 30 years ago this month when China’s then-leader Deng Xiaoping selected Shenzhen to become the country’s first Special Economic Zone (SEZ), laying the foundation for what would eventually become the most symbolic city of the new China. It is fitting that Shenzhen is the only big city in China where you will find a large statue of Deng Xiaoping instead of Mao Zedong. Starting as a true ‘tabula rasa’, the city boomed from only a few thousand residents to nearly 10 million during its life as an SEZ. This is a direct result of Shenzhen being one of the first places in China where burgeoning capitalist activity was actively promoted after the reform and opening of the country. Selecting Shenzhen as the site for an experimental SEZ was a logical choice due to its strategic location in the Pearl River Delta region. This allowed the city to have easy access to international markets- first attracting investors from Hong Kong and Taiwan and then from further overseas. Shenzhen successfully capitalized on its low-cost, high-efficiency model to become a preeminent manufacturing and shipping metropolis. Foreign investment is only half of the story. The other half is the millions of Mainland Chinese who emigrated to Shenzhen to work in factories and become entrepeneurs pursuing what could be considered the ‘Chinese Dream’. Those who came to Shenzhen didn’t come for lifestyle or cultural amenities- the decision was based on economic opportunity. Shenzhen has achieved a somewhat mythical status around China for its seemingly uncanny ability to bring wealth to people who started with nothing but took risks and persevered through adversity. Yet today opinions within China about Shenzhen are highly polarized. Most of the Chinese people I talk with either love or hate the city- there are no in-between feelings. Those who love it mention the freedom and opportunities Shenzhen offers while those who hate it lament what they see as empty materialism, lack of culture, and shallow pursuit of money at all costs. Media reports earlier this year of employee suicides at the Foxconn factory in Shenzhen also created a stir, casting light on the questionable culture of a city that is solely based on overwork and incessant production. This could change in the near future though. 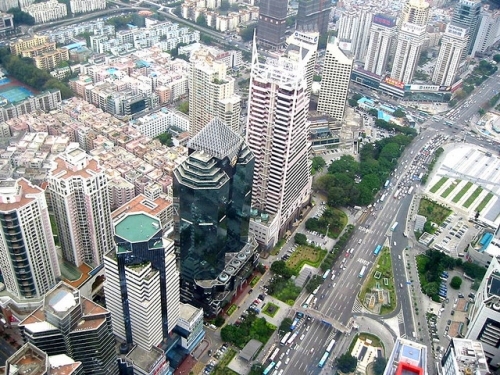 In 2008, UNESCO named Shenzhen a ‘City of Design‘, making it the first Chinese city to join the ‘Creative Cities Network‘. Although creativity and culture can never be forced on any city, the fact that Shenzhen aspires to merge its forward-thinking spirit with an emphasis on design is a step in a positive direction. Could Shenzhen’s history as a laboratory for economic reform also make it the ideal place as a testing ground for political reform as well? Wen’s words open up possibilities that could not even have been imagined 30 years ago. But as the world has witnessed, China is open to change for the better- and nowhere is China’s story of prosperity more evident in the narrative that is the Special Economic Zone of Shenzhen.